All Posts Tagged With: "Rose Byrne"
Rose Byrne was a guest on Late Night with Jimmy Fallon on Monday, July 9th, 2012, wearing Halston Heritage Fall 2012 “Halter Draped Front Jumpsuit” in Black. Do you love? 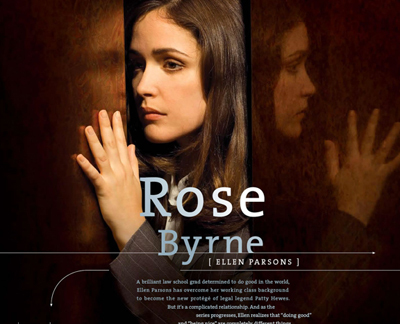 The Wall Group is pleased to announce that celebrity makeup artist Fiona Stiles worked with Rose Byrne at the Zimmerman 2011 Resort Collection dinner on Thursday, July 14th. TM & Marta Walsh has the sneak on how Fiona created this summery, fresh makeup look. Rose Byrne’s Makeup At The 2010 Emmy Awards by Makeup Artist Kate Lee for CHANEL. The ‘Bling’ & Diamonds: Black Diamond and Yellow Gold Cuff Bracelet. Pave Diamond Drop Earrings in Yellow Gold. Diamond and Yellow Gold Flower Ring. Beauty Inspiration: Rose wore a cream dress with a gold detail. Her hair was softly textured and swept into a soft high chignon by Harry Josh for John Frieda. I wanted to move away from anything too tan or Grecian looking, and keep things young and fresh. For this reason, I used mainly creme and gel formulas. Emmy Awards 2010. Harry Josh, John Frieda celebrity stylist, will be styling Rose Byrne at this Sunday’s Emmy’s, August 29, 2010. Rose is a Best Supporting Actress nominee for her role in Damages. RED CARPET PREP: Harry prescribed a pre-awards show routine to keep Rose’s hair looking fabulous for the red carpet: John Frieda Root Awakening Health Infusing Shampoo & Conditioner ($6.49 each). 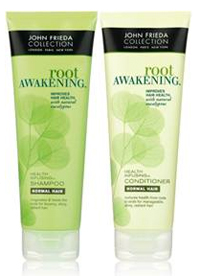 The products are formulated with good-for-you ingredients like Eucalyptus, creating 3x healthier hair at the root. Don’t miss the 67th Golden Globes this Sunday, January 17th, 2010, as Lancôme’s new ambassador Julia Roberts will be making an appearance as a nominee for her starring role in Duplicity. Lancôme ambassador and past Golden Globe winner Kate Winslet will also be attending. Both Julia and Kate will be wearing Lancôme, of course! Leading ladies and nominees Courteney Cox, Tina Fey and Rose Byrne of Damages will also be wearing Lancôme on the red carpet. 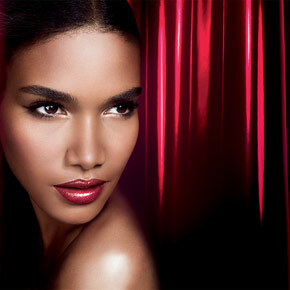 Additionally, Lancôme will be on Twitter and Facebook bringing you the latest beauty news as it happens.